King Kong's unknown star, by Alex Mitchell. Columbia Helicopters NZ. 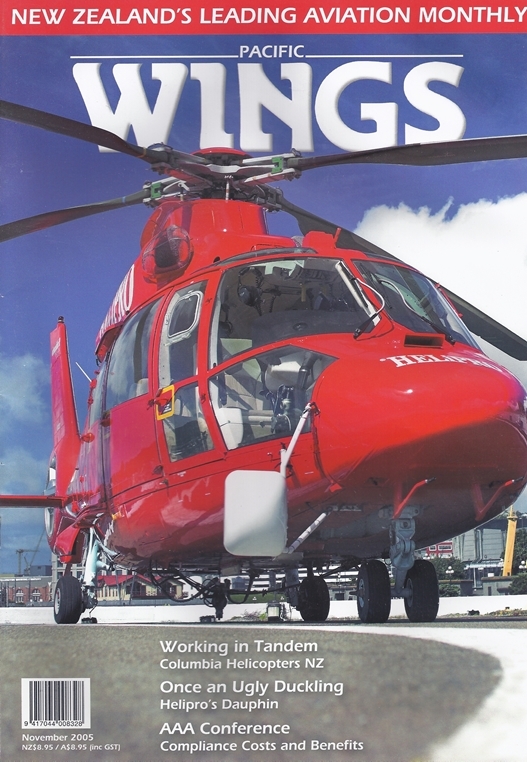 When it comes to lifting, twin-rotor helicopters like the Boeing Vertol reign supreme. And when it comes to heavy-lift helicopter operations, Columbia is king. Editor Callum Macpherson spoke with general manager and chief pilot Craig Keighley recently, and found out about Columbia Helicopters NZ's unique operation. Rob Neil discovers that Aerospatiale's once ugly duckling - the capable Sa 365 Dauphin - is now a beautiful swan, and the flagship of Helipro's current fleet. Additions, deletions, and changes of ownership on the NZ civil register, by Dave Paull.